Our print graphic design strives to challenge traditional designs with products that are not only eye catching, but also provide the information necessary to help you sell. But our greatest value to your project is the fact that we offer all of the print and photographic services needed for your project from start to finish. We can design, print and finish most print jobs in house, allowing us to provide you with lightning fast turnaround times and highly competitive rates. When we earn a job that falls outside of our scope, we work with printers in our partner network to ensure the job gets done right. We are the small business solution! By specializing in small run print jobs, we allow you to affordably start a new marketing campaign without having to make a substantial investment in thousands of copies of printed material. We pride ourselves in our ability to provide exceptional photography in house. Our pictures capture the essence of your products and services so that none of their energy is lost as they go to print and web based media. a high quality job done on time! 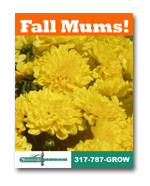 Full color, two sided with a glossy laminated finish, they are an inexpensive way to make a powerful first impression. 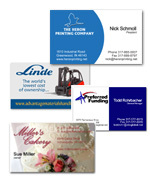 Also an affordable way to promote new products, services and web sites. An affordable way to get your message seen! By not burying your design in an envelope, post cards are less likely than letters to be thrown away with out being read. Save on postage! Postcards are less expensive to mail than a first class letter. Stunning designs using bright colors and crisp custom photography convey your message in the best possible light.